Adaptive Blue has just updated it’s free browser add-on, GetGlue.com with personalized new releases for each user, real-time suggestions, the ability to quickly decide if a book, a movie, or album is for you as well as a new interface. Personalized new releases – GetGlue scans new releases in movies, music, and books and give your the ones that are most relevant to you based on what you have already liked before. Â These movies pertain to your favorite genre which could either be a new album from your favorite artists, or even books on particular topic that interests you. Real time recommendations – GetGlue automatically updates your recommended movies, music and books everytime you encountered new releases. You can quickly browse through these list by clicking on the “Recommended” filter. Things you’ve already liked – GetGlue shows you similar things that you’ve already liked while you visit a movie, an album or a book on GetGlue.com or anywhere on the web. It also shows you reviews and liked items by your friends, neighbors and the entire GetGlue community who have similar tastes as you. New activity streams – GetGlue’s new activity streams compress daily activities of various users. This gives you the ability to explore more items from these activity streams. New interface – Finally, GetGlue has also redesigned the site’s overall interface – now bigger, shiner, simpler and definitely more fun. So, there. Are you using GetGlue? Do you like the new features so far? Comcast has just launched it new Secure Backup and Share service with the aim of helping you reduce the risk of losing important files that are saved on your computers. In short, it’s a cloud storage service with a facility for sharing some of the files you store easily. While there maybe free services of this kind available online, Comcast however will offer the service for a fee. If you’re an existing Comcast subscriber you automatically gets 2GB of file storage for free, or should I say as an incentive for subscribing to its Internet service. But of course, 2GB of storage won’t be enough for you, so you can always upgrade to a paid account. A 50GB storage plan will cost you $4.99 monthly or $49.99 annually. While a 200GB storage plan will set you back for $9.99 monthly or $99.99 annually. Those two options give you enough storage for all your photos, videos, files and other digital documents. And since you are paying for the service, Comcast assures that all your files are in good hands. They’ve got a secure and reliable protection system plus a file restoration facility in case disaster strikes and your files are destroyed. 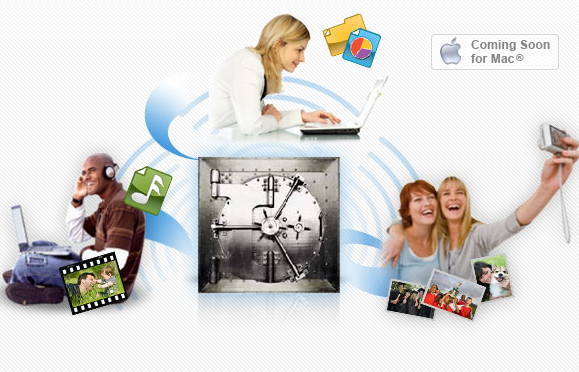 For file sharing and access to files, Comcast gives you a site which you can share with your family and friends. Â You and your friends and family can access the said site from any Internet connection as well as on your mobile phone. So, if you’d rather store and back up your files on a highly secured server, you might want to give Comcast Secure Backup and Share service a try. Google Buzz for Mobile, Should Yelp, FourSquare and Others Be Afraid? So aside from the Buzz in Gmail, Google is simultaneously launching its latest social sharing service for mobile users – Google Buzz for mobile. Google describe it as – as service that Â lets you post buzz and keep up with your friends when you’re away from your computer, obviously using your mobile phone. It also lets you identify places around you by using the location feature of your mobile handsets, select any of the places and attach it as a location tag to the buzz that you post. And it also lets you read what others have posted about that particular place. Google Buzz for Mobile will remind you of other location-aware service proliferating on both the web and mobile platforms right now, such as FourSquare, Yelp, Gowalla and others. And knowing that Google has all the infrastructure to make this location-aware, social sharing service, should these other services have a reason to be afraid of? The answer to that question would depend on how far users will embrace Google Buzz for mobile. Â Google has already laid down the service’s backbone and the verdict is now in the hands of Â Google Buzz for Mobile users. In case you want to try out Google Buzz for mobile, you can access it by pointing your iPhone or Android’s browser to buzz.google.com (note: the site appears to be inactive yet as I got an error when I tried on my Nexus One) This web app gives you two views – “Following” shows buzz from people you follow and “Nearby” which shows public buzz tagged with a location near your current location. You can also see Buzz as a layer on Google Maps for Mobile, as an icon the sits in the top right corner of the google.com homepage or as a voice shortcut available in the quick search widget on Android and in Google Mobile App for iPhone. Memeo, a private company known for providing both consumer and enterprise level digital file management solution, has just announced its partnership with Google. Not really a direct deal but something that will let you connect your desktop to Google Docs service. Dubbed MemeoConnect for Google Apps, the service is being targeted towards Google Apps users particularly business corporations. Google’s Product Management Director Matthew Glotzbach describes MemeoConnect for Google as a “service that presents customers with an attractive option to integrate or migrate all of their files into Google Docs. MemeoConnect for Google Apps of course requires Google Apps, specifically Google Apps Premier Edition account. It’s a paid subscription service and if you and your company are interested in using it, you may want to arrange for a trial period by visiting this link. AFAIK, the service is a paid one, so you better convince your IT Department to get into Google Apps and MemeoConnect, if you’re company is not yet into it. The GroundMap Application Demo from Eric Bieller on Vimeo. We’ve seen various startups tried aggregating various social media streams such as tweets and Facebook updates. But none of them have utilized the power of geotagging. Until now, with new startup GroundMap and its new social media platform. The idea is pretty simple and yet could be powerful. GroundMap lets you bucket geotagged social media streams and by that we mean all types of streams and not just tweets or reviews like what others are doing. So, GroundMap lets you add PDF documents, YouTube videos, Flickr photos, Scribd documents, Google Maps, as well as Twitter and Facebook updates, under a particular geotag. All these streams become searchable on GroundMap by their locations or geotags and the platform presents it in a timeline format called GroundMap activity stream. In addition, you can also search for activity streams using the tag cloud on GroundMap’s main page. It also allows you to add location which are not yet in the tag cloud. Once other users starts using the geotag, it’s appearance in the GrooundMap tag cloud increases in size – meaning the more relevant the tag has become. While GroundMap’s concept may not be ground breaking as other services might have featured it before, what makes it different from the rest is its ability to give you different sources of social media under one tag. GroundMap is a pretty useful online tool. Â It’s like other social bookmarking and recommendation sites such as Digg and Delicious done in a new way. Check out the video demo for a more detailed explanation of GroundMap’s features.